I've been forced to hibernate inside, I always knew the blog / work balance would co-inside sooner or later. Working full-time in the winter, there isn't much time to catch the light (as I'm sure most of you find) so while I'm trying to post in the week I'll have to give the pitch black garden a miss I'm afraid and see if I can huddle up some more into this bedroom corner! 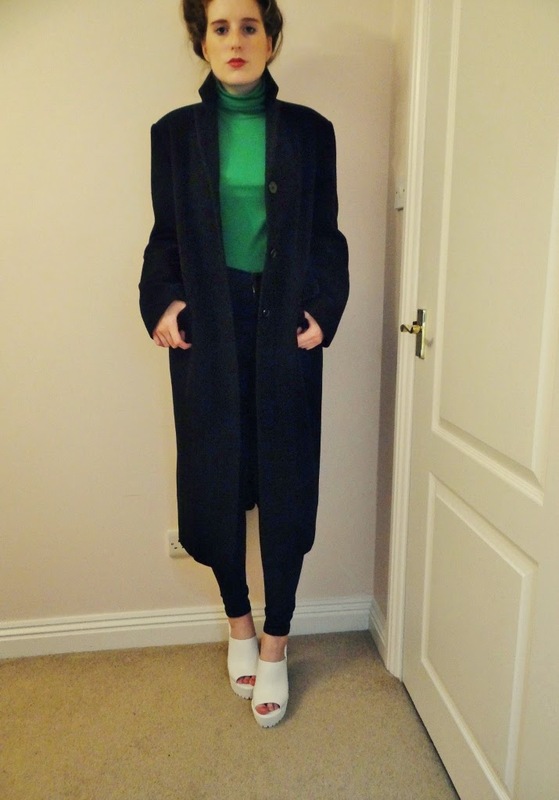 Duster coats are all the rage at the moment, especially now we can feel the chill catching every inch of the body. 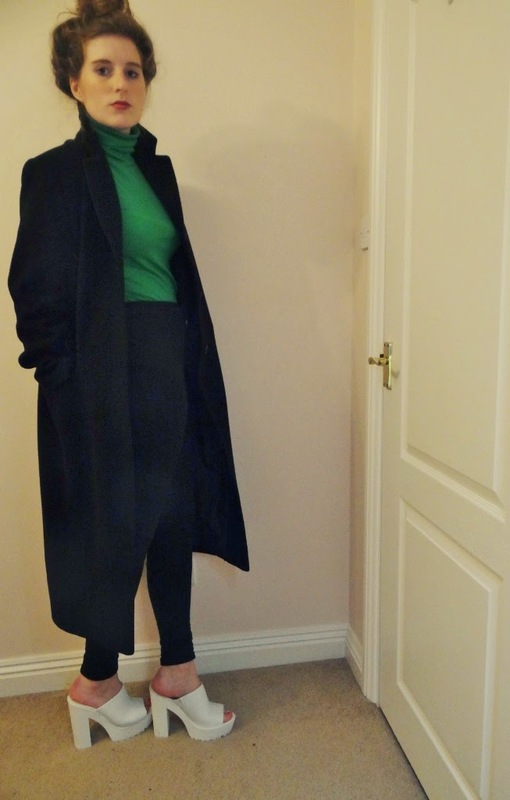 There really is no better combo than a duster coat and a polo neck to curb those chills. I bought myself a couple of pairs from Diva Dames, only at £5 each, with some forgotten change lurking around in my Paypal, I had a field day and grabbed myself a green, white and black. Not a bad purchase. I'd love to get my hands on a light grey duster coat next... paired with some knee high black boots I'll be sorted. I'm really loving the winter fashion this fall. What's the next item on your winter wishlist? This time last year I was wearing knitted polo necks - nothing has changed! 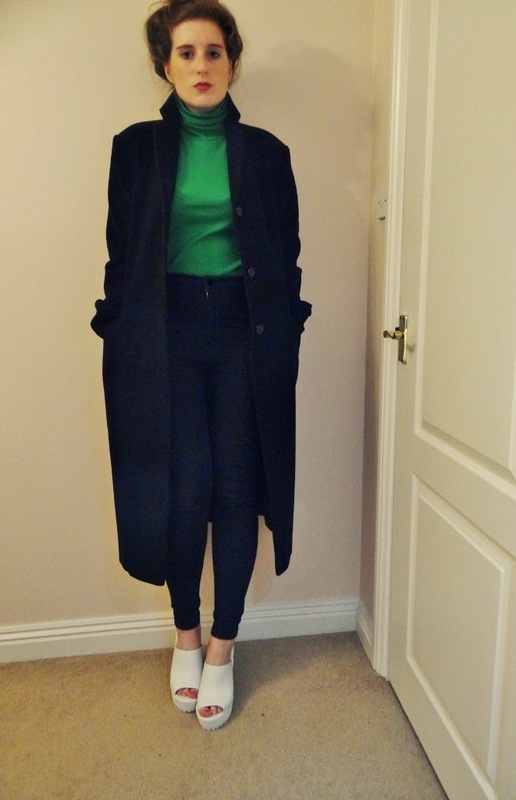 Loving the duster coat - grey would be perfect!